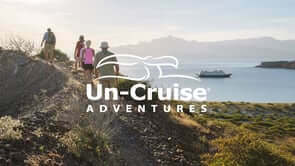 UnCruise Adventures is a small expedition cruise line that has been exploring in Alaska, Hawaii, Mexico, the Columbia & the Galapagos for over 20 years. The Uncruise cruise line will soon be destine for Central America, with voyages from Panama & Costa Rica beginning in October 2016. UnCruise offers a unique approach to cruising, with an itinerary unlike that of your typical seven day cruise. The 62-guest Safari Voyager offers it’s guests the ability to snorkel, kayak and paddle board directly from the ship. eliminating the need for group shore excursion, since you can enjoy private hikes anywhere after a short zodiac landing. This October UnCruises will be leaving from San Jose, Costa Rica towards Panama City, transiting the Panama Canal locks. Destinations along the way will include a visit to the Manuel Antonio National Park, Curu National Wildlife Refuge, Osa Conservation Area, Golfo Dulce and Granito de Oro, Coiba National Park. These destinations make wildlife encounters an emphasis of the UnCruise charters. Theme cruises leaving from Panama include a photography-centric voyage departing December 3, 2016 and a Chairman’s Cruise with the owners on December 10, 2016. UnCruise destinations within Panama include Colon, Guna Yala, the Chagres River, Pearl Islands, Darien Jungle and, the Panama Canal and Fort San Lorenzo. 2017 will bring a 8-night roundtrip from Panama City, an 8-night Costa Rican voyages departing from San Jose or combo cruise featuring the best of both Costa Rica and Panama for 15 nights of cruising.